Have you ever taken the time to look at the reasons behind suspicious order monitoring? The concept of SOM was introduced by the Drug Enforcement Administration with regard to the opioid crisis spreading across the U.S.A. The DEA does not target users, but instead focuses on the supply: cartels and rogue individuals that divert products. Suspicious order monitoring is designed to help pharmaceutical manufacturers comply with these regulations to protect both their business and patients. Even with these protections in place though, opioids are still roaming across the states, forcing the DEA to open investigations on manufacturers. Back in 2015, 200 Floridian primary care physicians admit to prescribing medications for unsuitable conditions and overlooked non-addictive prescriptions that have been shown to be more effective. Taking extreme measures to catch illegitimate suppliers and manufacturers, the DEA has found every region east of the Mississippi has drug dealers and users spanning across it. Many manufacturers have been fined, some upwards of $35 million for filling what are known to be orders of interest. From the business world, not adhering to these regulations is seen as malpractice and result in large fines. But, looking on a broader level, these malpractices are impacting the everyday lives of Americans. Teenagers pack into vans, travel across state lines to access these pain management clinics in Florida; leaving with around 500 to 600 pills each. But this isn’t the only instance of “loosely regulated clinics” handing out prescriptions. Seventeen thousand pills were sent via mail to a small town in West Virginia from a man in Hillsborough County, Florida. A major reason pill mills have proliferated Florida is because, unlike other states, there wasn’t a system for monitoring prescriptions. Law enforcement believed having a monitoring system would have prevented “doctor shopping” and the widespread of oxycodone. 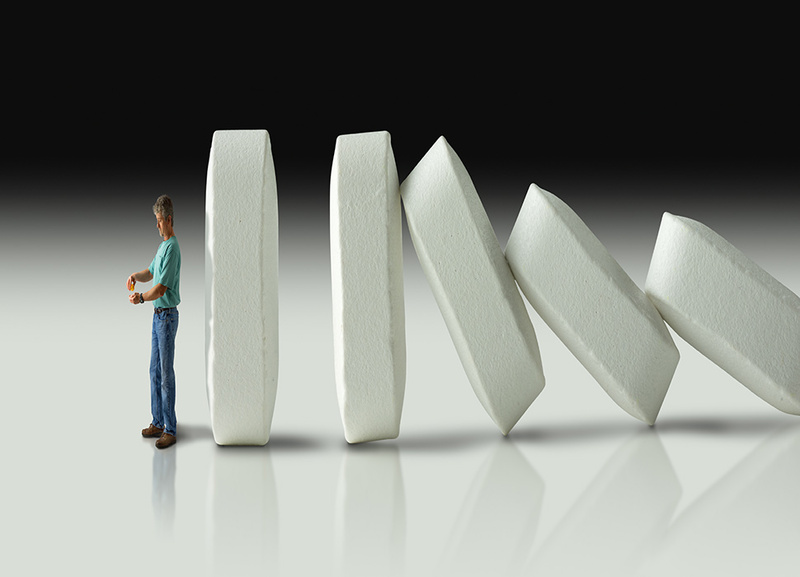 The DEA’s response to the opioid crisis was implementing strict regulations for pharmaceutical manufacturers with dire consequences if not followed. Their only goal is to protect the American public by preventing diversion of controlled substances. The “Know Your Customer” policy was created by the DEA for manufacturers to understand where their distributors take supplies. If manufacturers had known prescription drugs were headed to these pill mills in Florida, they could have stopped supplying them, avoided the outrageous fines and, ultimately, saved people from a lifetime of addiction. Since the rise of the opioid epidemic, the DEA has been fighting tirelessly to end the diversion of opioids while ensuring they remain available to those with a genuine medical, scientific and industrial need. The administration’s increased ability to interfere with the diversion of controlled substances encourages vigilance from drug manufacturers, and opens the door for better communication between the DEA and individual states. In the past year alone, several significant settlements and court decisions have resulted from this new requirement. Since implementing new regulations and compliance guidelines, the DEA has also launched a semi-annual event to collect unused and unwanted prescriptions. The main goal: to get these addictive drugs off the streets. The National Take Back Day occurs twice a year and the DEA partners with almost 6,000 locations nationally to collect excess prescription drugs. The DEA hosted 15 Take Back Days since the fall of 2010, and collected and destroyed 4,982 tons of unused, unwanted and expired drugs. Drugs that could have easily been left in a medicine cabinet for a friend or family member to discover. The Drug Enforcement Administration is not out looking to fine businesses. They are fulfilling their mission focused on protecting the American public. These recent developments point to enhanced DEA expectations for compliance and escalated penalties for noncompliance throughout the prescription opioid distribution chain. The DEA is looking for consistency in reports, especially in those taking a “know-it-when-you-see-it approach” that is difficult to systematize. The lack of sufficient data and incomplete information from customers can make it difficult to decide whether or not to fill prescription orders. Working with a trusted SOM developer takes the guess work out order fulfillment and can help align your business with the goals of the DEA; allowing for more trust as well from the administration. SOM is the safe step for the pharmaceutical industry. Defensive algorithms work around the clock checking orders so it doesn’t have to be a manual task. They are more reliable than humans and keep supply lines free of delays if an order is flagged as suspicious. DEA regulations can be confusing to link together. Contact us today to see just how SOMLink ties your supply chain to the DEA. Since 1999, e-SupplyLink has been a leader in the supply chain services field. We are devoted to developing, providing, implementing and supporting supply chain systems. e-SupplyLink is dedicated to providing clients premium software focused on optimizing the shipping process to be as efficient as possible and eliminate human-error. e-SupplyLink, Inc. 2018. All rights reserved.